This project is meant for for getting developers off the ground quickly with basic boilerplate code. Currently it is tailored toward a VSCode environment. It is a work in progress, but so far I have TypeScript and Sass compilation using Gulp tasks, along with Express, Express-Session, BodyParser, and EJS templating. I will be adding a login mechanism and a forgot password email function -- hopefully soon. I want to keep it to the basics, so I probably won't be adding sample database connectivity since there are too many different options. As always, I'm open to feedback -- especially if I can make something more efficient or if I have done something the wrong way. If you like where the project is headed, please star it on GitHub. Enjoy! I put together this spreadsheet to compare some of the more popular mobile app frameworks. 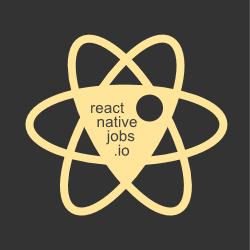 Today I finished converting ReactNativeJobs.io from using PHP over to NodeJS with EJS templates. The transition went smoother and faster than I had anticipated. Thanks goes out to the helpful developers on the NodeJS Facebook group for pointing me in the right direction, and to Chris Sevelleja for his blog post on how to use EJS with Node.